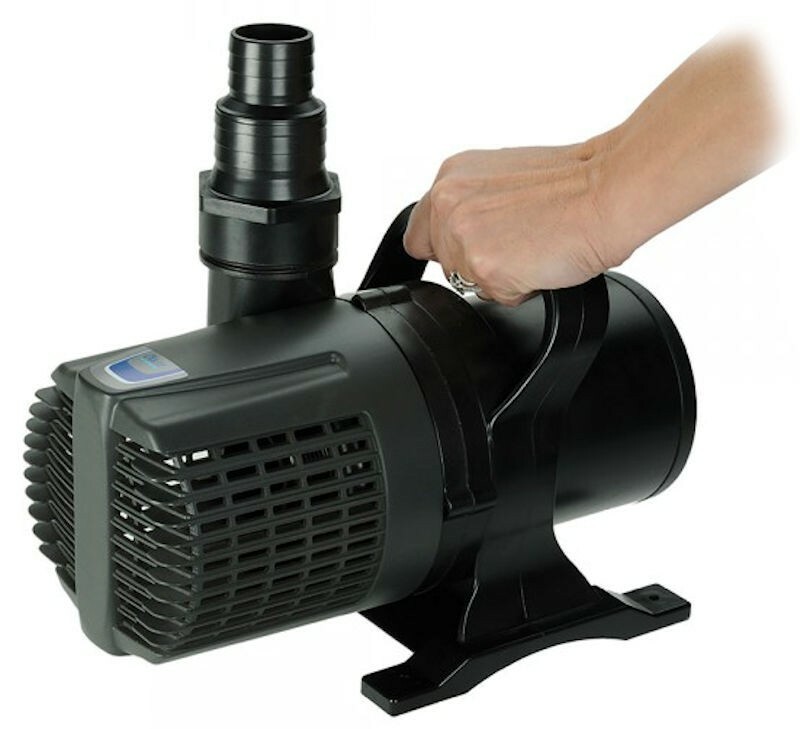 The OASE® Waterfall Pumps are extremely quiet, discreet and effective for use as waterfall and cascade pumps or for pumping to pressure filters or gravity-fed pond filters. 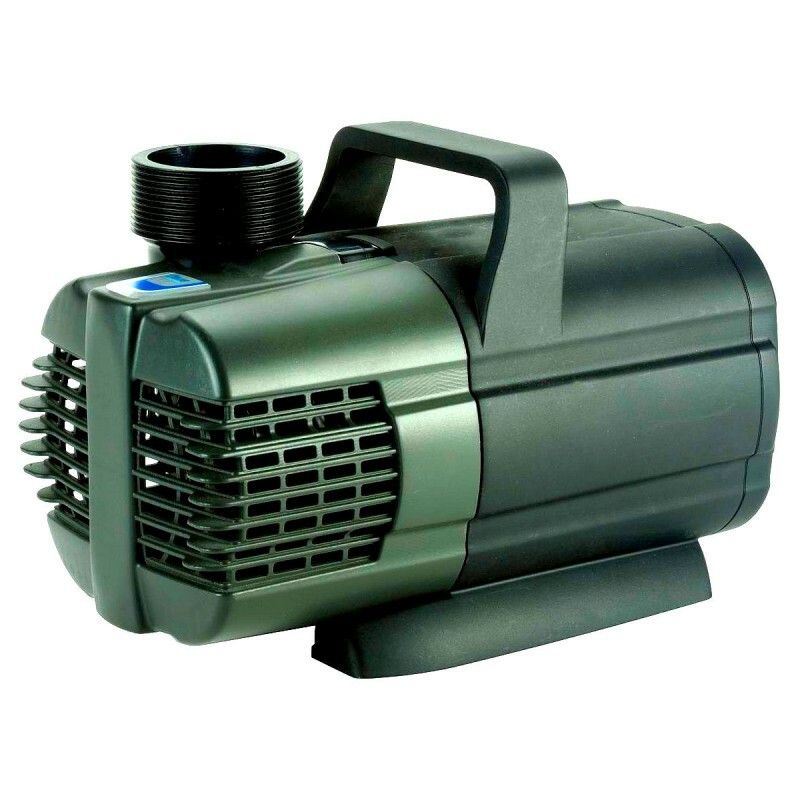 These submersed pumps are designed for continuos duty and can even be used to create small fountains and decorative waterfalls and water features. Internal design of the pump allows large debris to flow out of the discharge and finer particles to flow out of the rear of the pump. This ensures that the shafts and bearings are being continuously cleaned. Allows simple and quick access to all moving parts. No tools necessary.. This added measure of protection exceeds all electrical safety standards. The grounding plate provides the path of least resistance, insuring that any electrical leakage, from any power source in your pond, harmlessly exits the pond through the grounding wire. 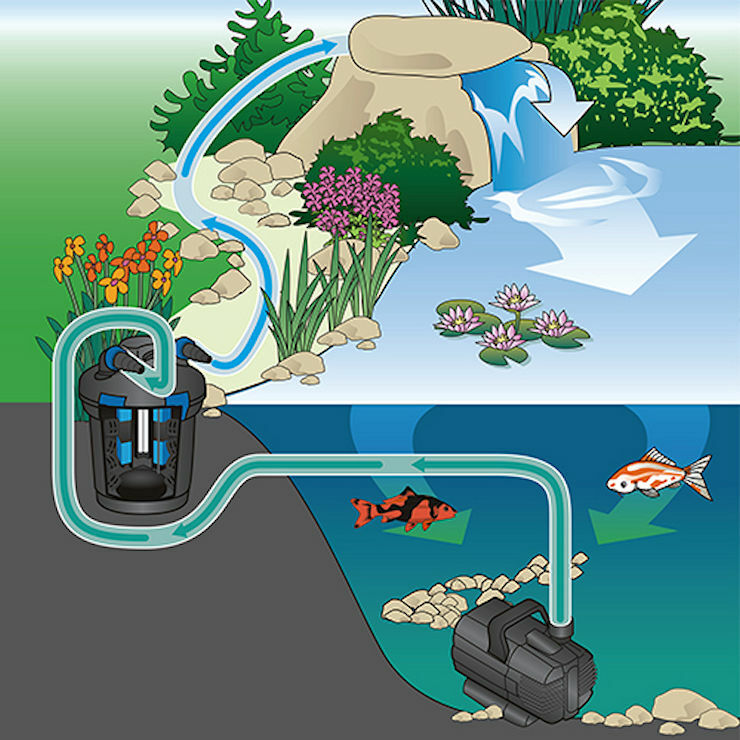 With this feature, your pond will have unparalleled protection against electrical hazards. Size 8.4" x 5" x 6.23" 8.4" x 5" x 6.23" 9.4" x 5.4" x 6.5" 9.4" x 5.4" x 6.5" 11.9" x 6.8" x 8.6" 11.9" x 6.8" x 8.6"
Outlet Size 1" & 1.5" 1.5" & 2"
Whether you prefer the water flow to be a steady “sheet”, a meandering “trickle” or a “Niagara Falls” style, our waterfall pump collection delivers. 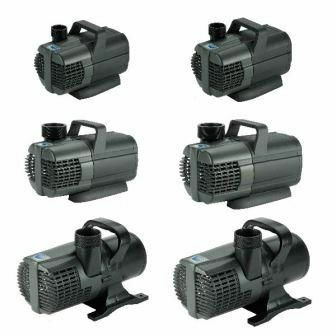 Suited for either waterfalls or streams, these pumps are energy efficient and equipped with grounding plates to provide state of the art protection against escaping electrical currents. 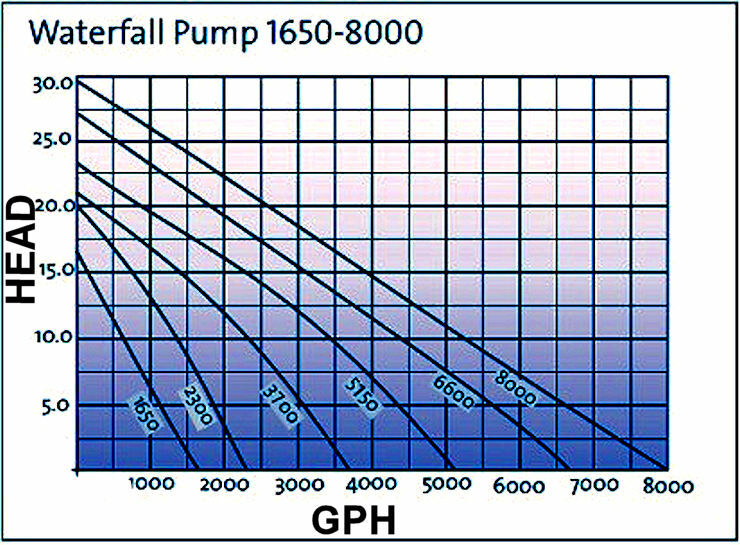 Waterfall pumps are designed to handle coarse debris (up to ¼ inch) and to continuously clean shafts and bearings. The compact design allows for discreet placement, either within a skimmer box or camouflaged within the pondscape. 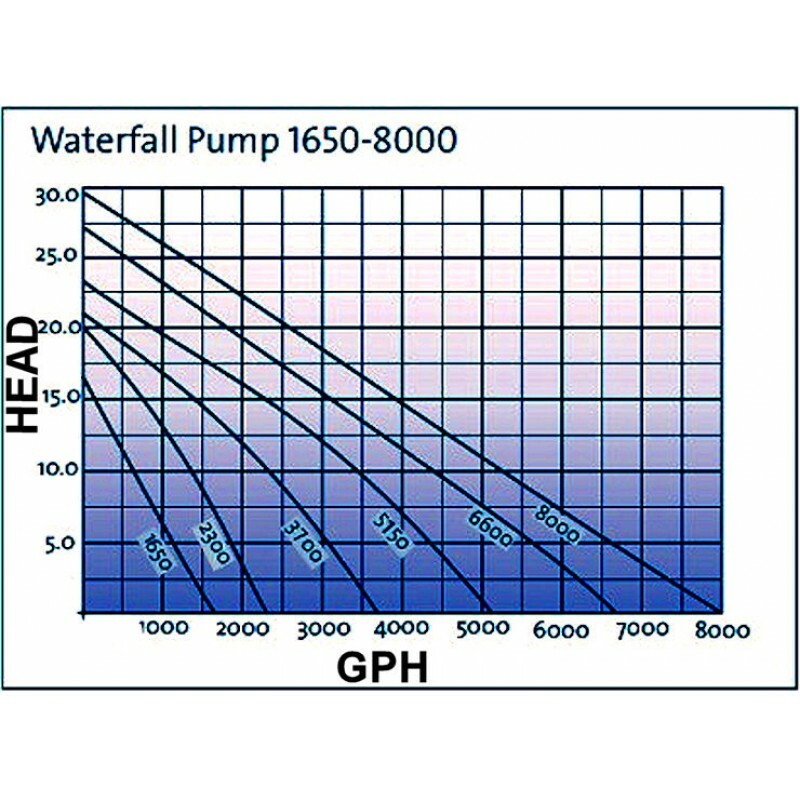 Handy tip for sizing your waterfall pump: The recommended flow rates for waterfalls is from 62 GPH per inch wide of waterfall or streambed to 187 GPH per inch wide of waterfall or stream bed.